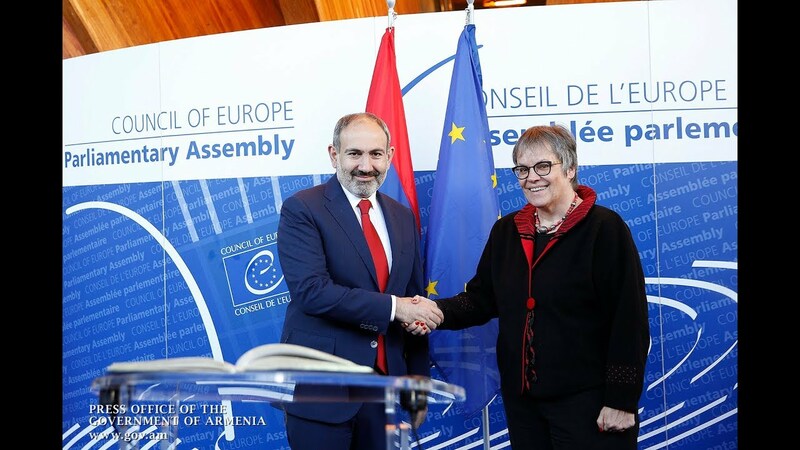 Armenia is a full-fledged member of the international Organization of La Francophonie, the Canadian prime minister said today, highly appreciating the idea of conducting the Organization’s 17th Summit in Yerevan. In his speech addressing the participants of the event, Justin Trudeau also extended his word of gratitude to Prime Minister Nikol Pashinyan, and the Armenian people, remembering, at the same time, world-famous legendary crooner Charles Aznavour (who he said “grasped all the nuances of French”). “The same spirit is dominant also here. That, certainly, doesn’t absolutely imply that we totally agree to everything. Yet, we have been able to create a space where [people] are governed by respect for one another, a space where our countries can develop, listen to one other and, most importantly, do that in the French language. Your country – whether with a population of 99 million or 9 million – is a full-fledged member of this organization,” he said. The Canadian official also called for consolidating efforts “not only around eloquent speeches but also the kind of future [our peoples] want to build”. “Many citizens feel kind of detached from the promises of globalization and - forgotten by those promises. There are native peoples who too, feel in a way forgotten; no country can ever achieve success without everybody’s engagement – regardless of religious affiliation or ethnic background,” Trudeau said, noting that the Francophone countries are “positioned the best” for being the advocates of the said values. The Canadian premier also praised Africa’s role as the “driving force” behind the Francophonie, highlighting the rapid paces of development on the Dark Continent. “Canada will continually defend the fundamental values of the Francophonie as human rights; we are also inclined to closely follow that the French language never sees a decline in the virtual domain. This summit is taking place at a really important moment; hence it is our obligation to redefine the meaning of this slogan of living together,” he added.